The best camera in the world can't make up for poor optics. Let us know what lens you plan on using and we will set you up with the right port setup. Specifically designed for the ARRI ALEXA Mini camera, the Gates MINI is a deeply integrated marine imaging system, blurring the lines between housing and camera. Twelve user-assignable controls interface directly with the ARRI Mini allowing access to frequently used functions like white balance, peaking, display overlay, and frame rate. Gates familiar mechanical Focus / Iris / Zoom controls provide precision handling of hundreds of PL, Canon and Nikon lenses with the same Lens Gear Drive system as MINIs relatives in the Gates cinemagrade family. The seasoned professional will recognize many signature features in the Gates MINI: durable machined aluminum and stainless construction; clean, uncomplicated, user friendly design; Gates precision ports for clear, sharp images; extensive line of accessories and custom configurations; and Seal Check II for housing integrity verification. Experts know that failure is not an option so they never take a chance, they take a Gates! ST5 Compact External Monitor housing for the Transvideo Starlite is included with MINI. The larger 5.5 in TVL55 is optional. Quick media change. Flip up the V-Lock battery for fast CFast swap on the ARRI Mini. Precision Ports means clarity, sharpness and no vignetting (cutoff dark corners) to spoil your images. User-assignable controls for direct access to white balance, frame rate and many others. Changeable Buoyancy and Trim. Add / remove trim weights for ideal balance -- just the way you like it. Construction: Machined aluminum. Type III hard anodize finish. Stainless steel hardare. Batteries: V-Lock type. Contact Gates for non-standard battery size compatibility. Dome Port SP80-8: 8 in / 203mm optical dome is field replaceable. Acrylic and A/R coated glass versions available. 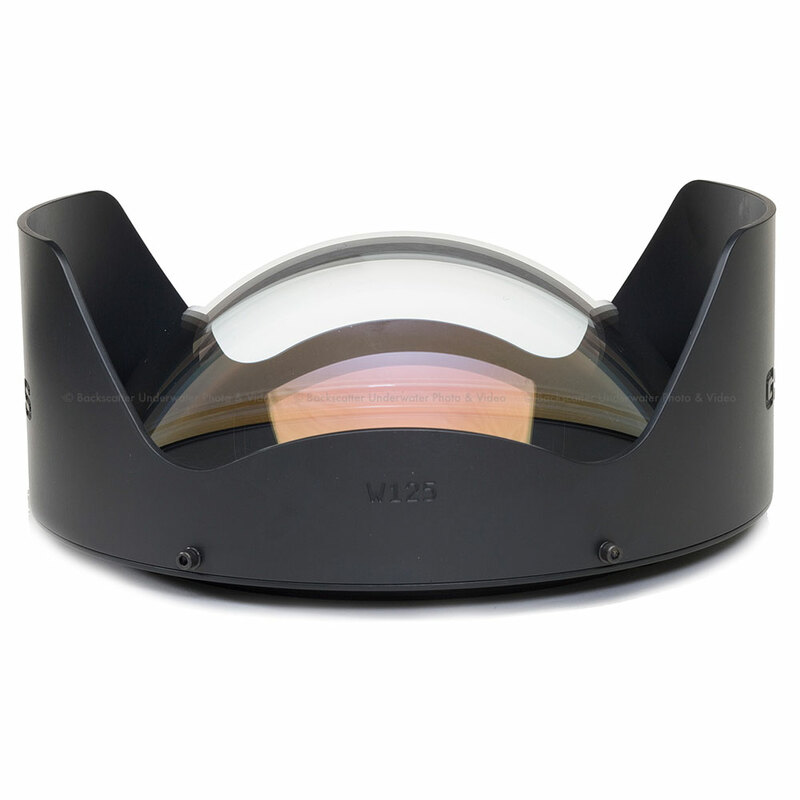 Dome Port SP80-10: AR Coated 10 in / 254mm optical dome port nearly a full hemisphere for ultra wide lens coverage. GT14 LED Lighting: 14,000 lumens *and* 90 CRI underwater illumination for natural history and cinema productions. HD-SDI Surface Feed, for topside Director viewing and / or recording. Comm Input Records diver communications.